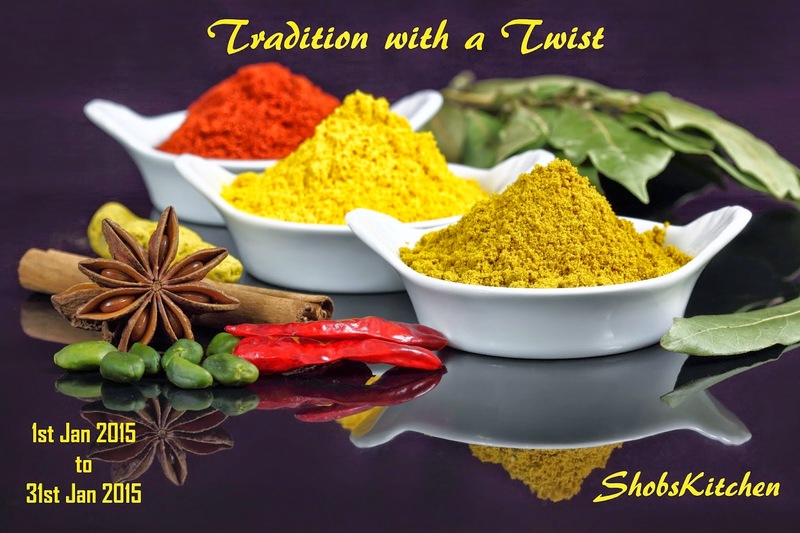 Nannari is a natural cooling herb which has numerous health benefits. Nannari syrup is prepared from its root, sugar and water. Sabja seeds also called as basil seeds, do swell up in water when soaked. They form like a swelled jelly substance with a slight crunch when tasted. Few of the health benefits of sabja seeds are treat constipation, weight loss and stress reliever. Of course who wouldn't remember the famous drink Falooda when talking about sabja seeds and the famous madurai jigarthanda when mentioning badam pisin? Yes, the fusion of falooda seeds and jelly jigarthanda to sherbet!! It is such a refreshing drink in summer!!! 1. Soak badam pisin and sabja seeds separetly with enough water overnight. 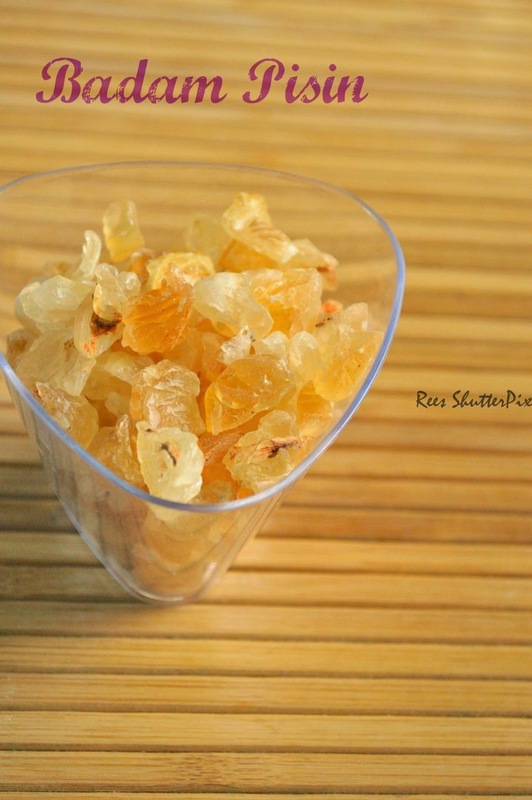 In the morning, badam pisin looks like jelly, check for any bark, if so remove with spoon. If water is there, drain and keep aside. Drain water from sabja seeds also. 2. Take a glass, add badam pisin, sabja seeds, nannari syrup and chilled water. Mint leaves is optional. 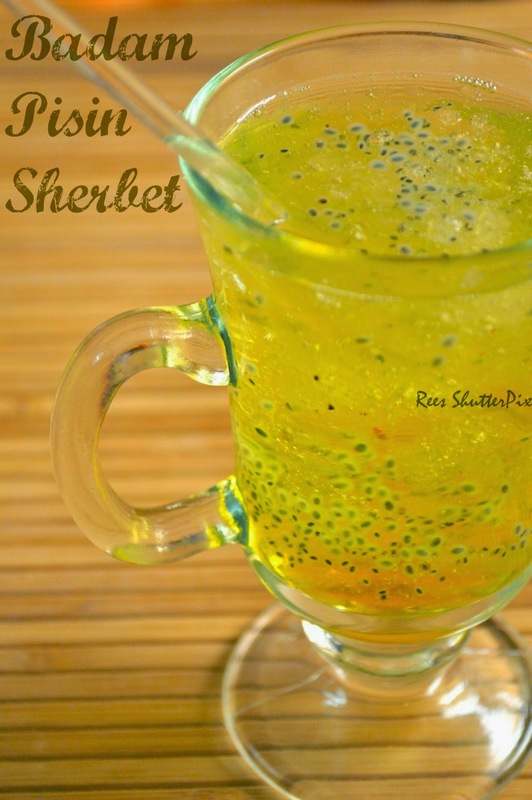 I have made jigarthanda with badam pisin, would live to try this sherbet.. 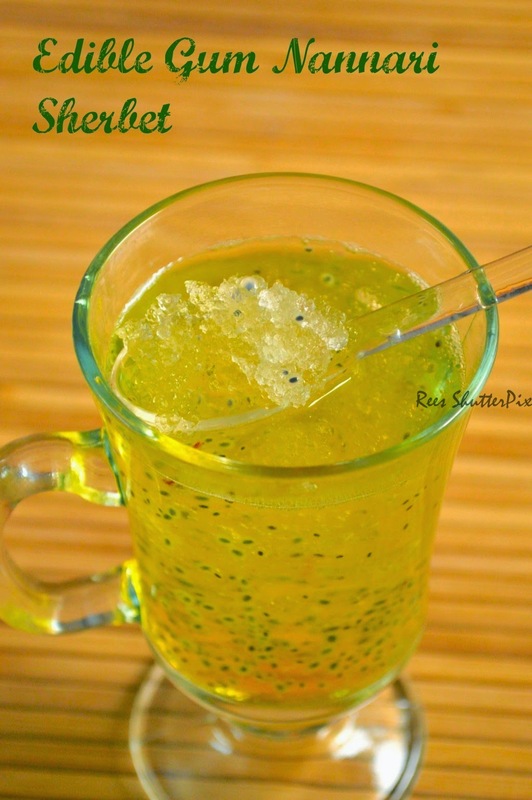 Refreshing drink, perfect for the summer heat..